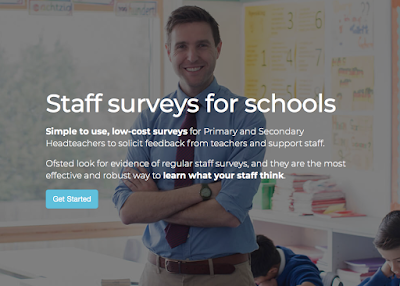 Do you need staff surveys for Ofsted? "Leaders and governors have a deep, accurate understanding of the school's effectiveness informed by the views of pupils, parents and staff." My own website, SchoolStaffSurveys uses the UK Civil Service questions mentioned above, but it's all set up for you ready to go. You get a free trial, then £50 per survey. The National Foundation for Education Research will run a staff survey for you. 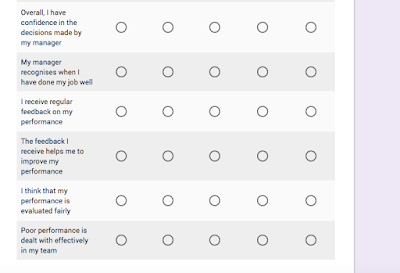 But they only use 16 questions, and it costs £250. It isn't obvious what you get from this which you wouldn't get just doing it yourself. Engage a specialist firm to do it for you. 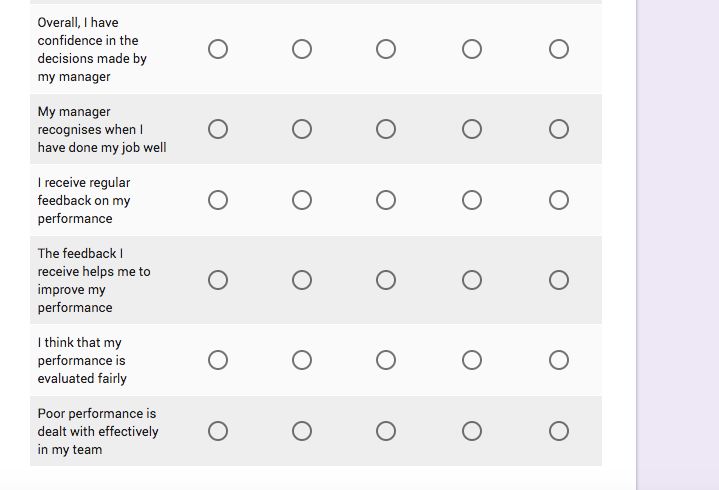 Google "Employee Engagement Survey" and you'll find plenty. But almost none of them publish pricing online, so you can be confident it'll be more than £250!